Supermarket retailer Kroger is rolling out a seamless, cashless shopping technology, similar to what Amazon unveiled in mid-January with its Amazon Go store. Kroger calls it Scan, Bag, and Go. The technology allows shoppers to use a wireless handheld scanner, or the Scan, Bag, Go app on their phone, to scan and bag products as they shop. In the test market phase, shoppers will go to the self-checkout area to provide payment. However, Kroger says developers are adding the capacity to pay directly through the app, much like the Amazon Go system works. Kroger said it plans to introduce Scan, Bag, Go at about 400 stores in 18 of its operating divisions later this year, potentially changing the way consumers shop for groceries. 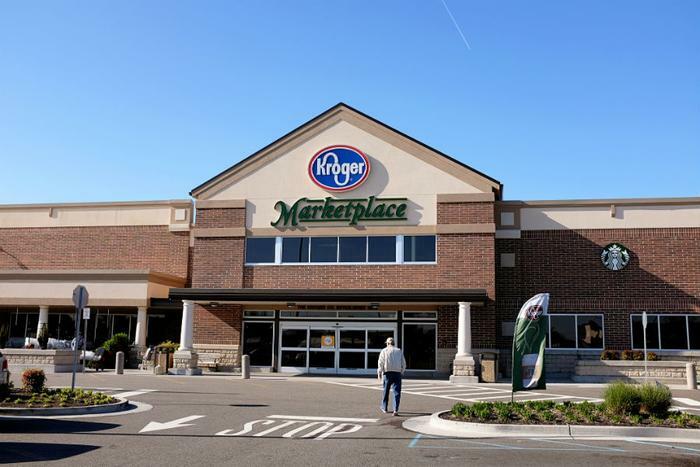 "With every new product, service, and technology integration, Kroger is redefining the customer experience and reimagining the store of the future," said Chris Hjelm, Kroger's executive vice president and chief information officer. "After testing Scan, Bag, Go in several locations, we are bringing this transformative technology to new stores across the country through Restock Kroger." Kroger says the app and scanner will keep a running total of the items placed in the basket and display coupons and store specials. The objective, the company says, is an improved shopping experience and seamless checkout. The Kroger divisions of Atlanta, Central, Cincinnati, Columbus, Dallas, Delta, Dillons, Fred Meyer, Fry's, Houston, King Soopers, Louisville, Michigan, Mid-Atlantic, Nashville, Ralphs, Smith's, and QFC will be the first to get the new technology. Amazon Go, which opened January 21 in Seattle, is a convenience store in which all items have a sensor that records when the item is placed in a customer's cart. The item is then added to the customer's account in the Amazon Go app. Once the shopping trip is completed, the customer leaves the store and the purchase is charged to his or her credit card on file. Amazon has not said how many Amazon Go stores it plans to open. Hjelm says the feedback Kroger has received from customers who participated in the pilot project has been favorable. He says Kroger stores will continue to have traditional checkout counters, but the new technology gives consumers another choice in how they want to shop.